The Vicair® Academy Mattress 415 and Mattress Inlay are designed for patients who have a highly increased risk of decubitus, and for patients who have existing decubitus stage I-IV. • Clinically Proven. High performance pressure distribution for stage I-IV decubitis ulcers. • Easy to set up. Cells may be removed or added easily for proper immersion where necessary. • Cost effective. 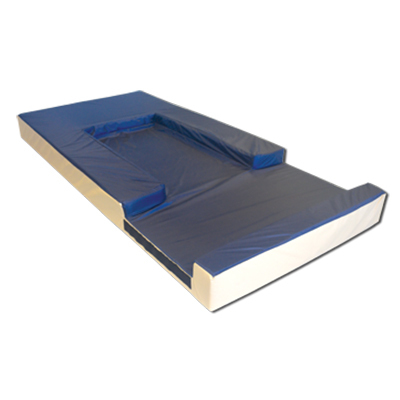 Full Mattress protection at a much lower cost than many alternatives. • Reduces sheer due to the dynamic nature of cells and cover in high risk areas. • Promotes Immersion and Envelopment. Loose fitting, fluid-proof cover encourages immersion and envelopment. • Reduces heat and moisture. The dynamic nature of the air cells and fabrics promotes air exchange. • Fluid proof cover. Easy to wipe clean and machine washable. Protects inner cover and cells. • Versatile. Can be used on any type of bed frame. • Light weight and portable. 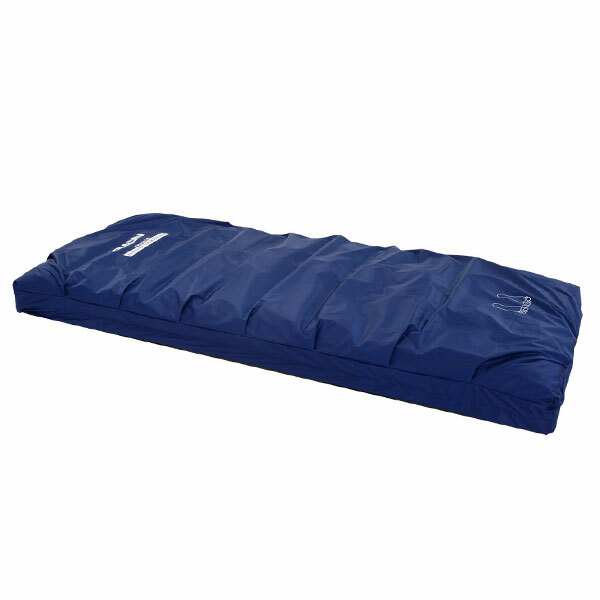 Weighs 22lbs/10kg and comes with handles for transport or evacuation. • Provides superior heel management. Extra support under the calves suspends heels for reduced contact. Bed sheets can be attached loosely to the double rings on the corners of the mattress to prevent “hammocking”. • CPR can be performed on a patient on the mattress without the use of a board. Call 604-821-0075 or request details about the Vicair Academy Mattress 415 using the form below. Question about the Vicair Academy Mattress 415 ?